The State of Palestine went a long way towards its independence. On November 29, 1947 the United Nations General Assembly issued a resolution, declaring the termination and partition of the British mandate into two states, Israel and Palestine. This led to a long-lasting Arab-Israeli conflict, that began on May 15, 1948. 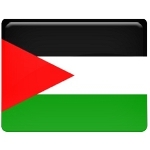 The Palestine Liberation Organization (PLO) was created in 1964 and on May 28, 1964 it issued the Charter, stating that the boundaries of Palestine existed during the British mandate, calling on liquidation of Israel aiming to create an independent Arab state. The PLO adopted the Palestinian Declaration of Independence and it was proclaimed by Yasser Arafat on November 15, 1988. In fact the PLO didn't exercise the control over the territories it proclaimed to be Palestinian. As of 2014, 135 countries of the 193 member states of the UN recognized independence of Palestine. Nevertheless Palestine cannot be considered to be an independent state, since it doesn't carry out certain requirements.